I extend to all Mothers a hearty and happy Mother’s Day. Another year has passed and we continue to find reminders of Mom all around us. Coming across these reminders is common and instead of sadness we typically find comfort and even some humor. The other day I came across a small box and inside were several of Mom’s credit cards, her driver’s license, and an insurance card. It all caused me to smile as it brought about memories of things now that seem funny although maybe not so much at the time. Regarding Mom’s driver’s license, I remember when I started hearing about a few of her driving near mishaps as she got older which began to really concern me. The older she got, the more cautious and careful she was about making decisions while driving. The slower she drove while trying to be careful, the more of a danger she became for others on the road. To pull out into traffic or pull into a parking lot, and making turns all took longer for her to do. I was very nervous the day I decided that I should ask her to hand over her driver’s license and stop driving. I was not sure how she would take this and I anticipated her not agreeing with me. However, just before I brought up the subject, she blurted out she was no longer going to drive and handed me her driver’s license. I was shocked and surprised that she came to this decision on her own. The memory of that day puts a smile on my face. I was so happy and relieved that I did not have to tell her driving was no longer an option. I was just as relieved knowing the world was going to be a much safer place. I just love Mom memories. In honor of Mother’s Day, I again want to recognize a couple of Moms I spoke of last year; Ms. Lucille Lee who passed away August 6, 2014 and Ms. Marilyn G. Dunn who passed away March 23, 2015. More recently, Aunt Sissy who passed away, was also a mother, grandmother, and great grand-mother. I know this day is a day of very mixed feelings for Calvin, Joanne, and Linda as each continue to adjust to not having their Mom around on this day. I understand. Tomorrow will be the start of a new adventure for Casey and Xavier. they are very nervous! I know, I am also as nervous as they are. I want the very best for them both. I am fully convinced their time in Copey will be both rich and unforgettable. Similar to Hailey who did a similar volunteer trip to Copey a couple of years ago, both will experience a whole new perspective on life outside of the US, life in a rural community, life among non-speaking English people, and they will see first hand why “Friends of Copey” is committed to this effort. 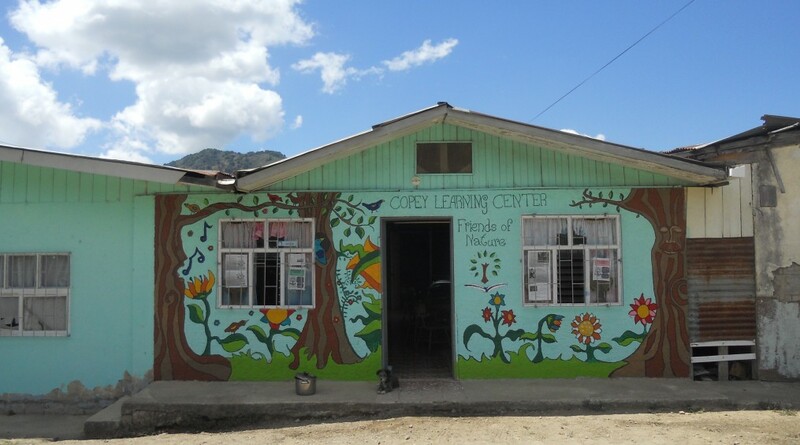 By this time next week, you will likely be treated to very special news and photos covering their first week as volunteers at the Learning Center. I have not heard if Xavier has a journal but Casey does. You can keep track with me by clicking on http://caseyincopey.weebly.com/ . Let’s keep them in our thoughts and prayers while we appreciate their spirit of adventure and willingness to serve others. We are very proud of them. Great story about the car keys, AKA! When I took possession of Mom’s vintage Plymouth K-car keys, the first thing I saw is that her inspection sticker had expired 8 years ago! I am sure that kind cops just turned their heads let Mrs. MaGoo go! On another subject I do worry about the girls and the Zika virus! Lin, this is a great story about your Mom. Mom was very fanatical about expired tabs, inspections, and the works. She could have lived to be 199 and not let a deadline or expiration date pass. Don’t let me get started on bill paying…a nightmare. Thanks for your comments and I agree about the Zika virus.